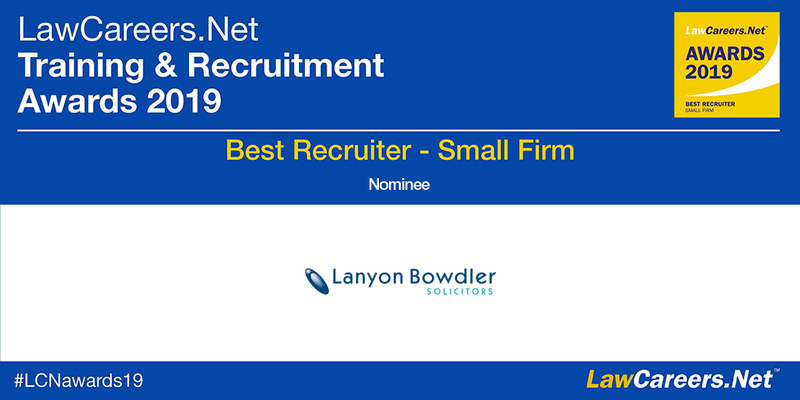 We have been shortlisted for the 'Best Recruiter - Small Firm' in the 2019 LawCareers.Net Awards. We won the 'Best Trainer - Small Firm' award in 2018, having also won in in 2017. 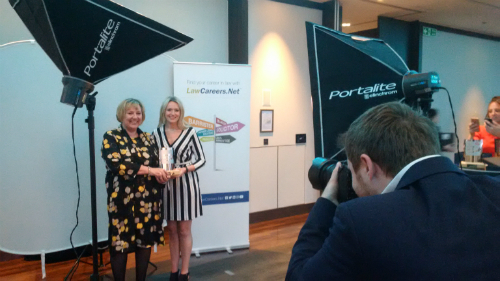 We have previously had many nominations for the LawCareers.Net's Training and Recruitment Awards for either "Best Recruiter-Small Firm", or "Best Trainer-Small Firm". We won awards in 2004, 2009 and 2017. 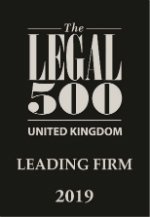 We are delighted to receive this recognition of the standard of our trainee solicitor training programme. 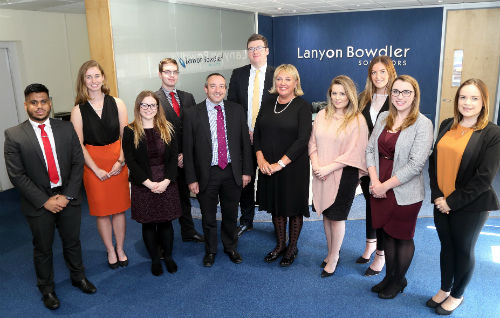 Lanyon Bowdler take on four trainees each year, so with training contracts usually being for two years we generally have at least eight trainees with us at any one time. Trainees usually spend six months in each "seat", so they gain experience in four areas of work. 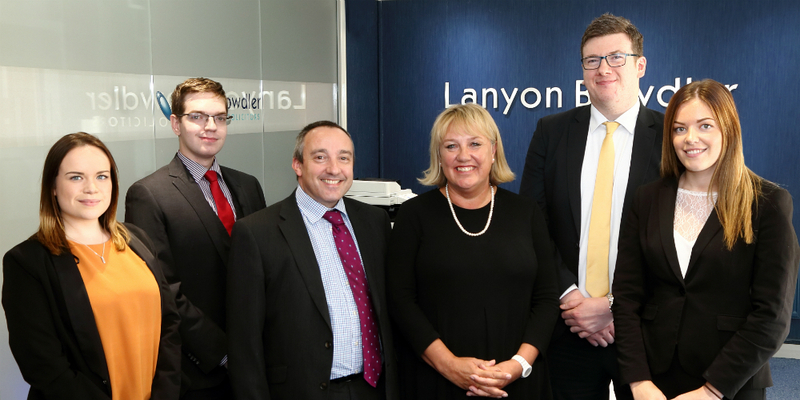 Read our blog about Training to be a Solicitor at Lanyon Bowdler via the link - this article will give you an idea as to our recruitment process and what you may expect during any interview are you are invited to as well as, if you are successful, information prior to commencing your training contract with us. We are currently accepting applications for 2021, please ensure your application is submitted by the end of December 2019. We have been delighted to take on four new trainees in September 2018 and they have settled in well. This means we currently have nine trainee solicitiors showing our commitment to them, and how we consider our trainees to be the future of the firm. The trainees who joined the firm in September 2018 are featured in the photograph below: Staci Robinson, Adam Hawkes, managing partner Brian Evans, training partner and head of clinical negligence Kay Kelly, Jamie Porter and Emma Farrington. Below are the trainees with the firm as of October 2018. 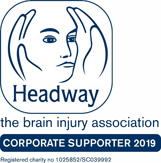 They are Tahsin Khan, Catherine Field, Myfanway Murray, Adam Hawkes, managing partner Brian Evans, Jamie Porter, training partner and head of clinical negligence Kay Kelly, Kelly Pledger, Emma Farrington, Gemma Tattersall and Staci Robinson. Not only do we offer our trainees support, guidance and valuable experience in the technical aspects of their work, we encourage them to be part of the firm as a whole. They have opportunities to attend careers fairs, where they can talk to students about how to work towards a future in the law, there are also chances to attend events and seminars, where they can develop their business development skills.